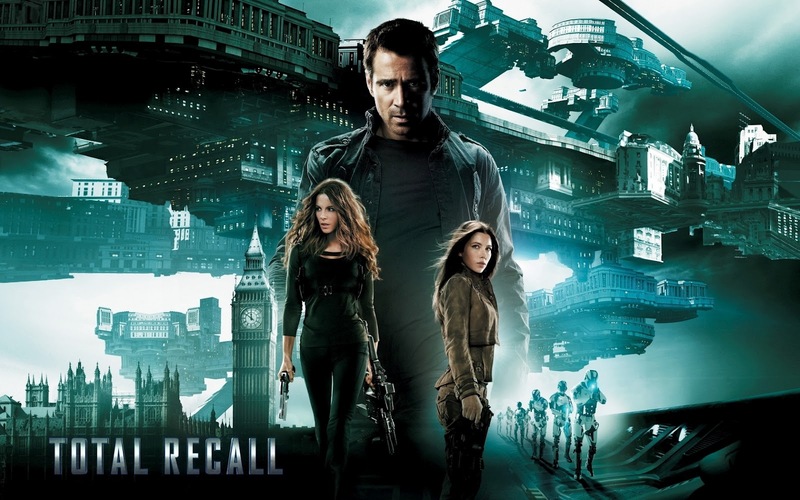 In a future where most of the Earth is decimated, Douglas Quaid (Colin Farrell) can’t shake his adventurous dreams. He heads to Rekall where vacations come in the form of memory transplants. In the process of becoming his own secret agent, Quaid discovers that his life is a lie. Wife Lori (Kate Beckinsale filling in for Sharon Stone but doubling for Michael Ironside and offering the best performance of the film) leads a chase to capture the awakened Quaid. Meanwhile freedom fighter Melina (Jessica Biel) attempts to persuade Quaid into finding his true identity and leading the cause against oppression. The one thing that a reboot or remake should NOT be, is … well…. be NOT original, pun intended! The good thing about this one is that you can watch this next to the one with Arnie Schwarzenegger in it and only smile about the little references to the first incarnation and enjoy both. The 2012 version has amazing action, a great story, amazing action as well as Farrell, not forgetting the amazing action! Seriously, the story has been changed in that the Earth only has 2 inhabitable areas and the worker-folks maintain the wealth in the other area. But when Douglas regains his memories, all hell breaks lose and the manhunt is on! Fun thing that the manhunt is led by one fiesty female, trying her best to make the chase as interesting as possible. What was not possible back in the ’80s the coming of computer and CGI has made this remodelling a joy to look at. Sure I can think of the fact that the Mars/Earth was a better divider then the Aussie Colony vs the British Federation, cinematographically speaking, but those are really not that solid forms of critique to be frank. As said earlier, this movie rocks on his OWN right!